At The Summit at Sunnybrook Village, we want you to rest easy. To ensure your absolute comfort, our Sioux City, IA, apartments for rent near Morningside College boast an array of upscale in-home features. With walk-in closets, large bedrooms, and high ceilings, your bright open-concept floor plan exudes charm. Take advantage of the modern kitchen and elevate your cuisine. Fit for a professional chef, your new kitchen features stainless-steel appliances, custom cherry cabinetry, and a timesaving dishwasher. Your new luxury apartment saves you from the hassle of daily parking with garages available. With your home life simplified, you will have more time for relaxation. Visit the resort-style outdoor swimming pool and work on your tan from the relaxing sundeck. For your cardio and strength-training needs, stop by the modern and fully equipped fitness center. Our community grounds are also home to our well-maintained onsite dog park, where you and your pup can play fetch and meet the neighbors. 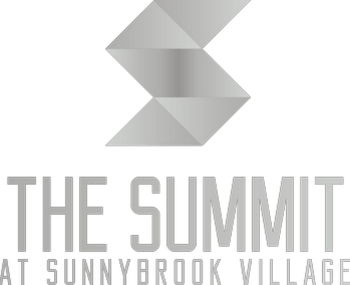 For more information about our amenities or to schedule your tour of our East Sioux City, IA, apartments for rent near Target, get in touch with the team at The Summit at Sunnybrook Village.